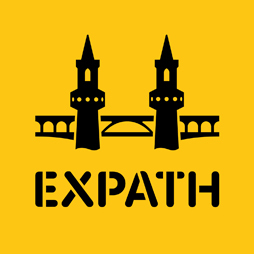 Ready to start learning German at Expath? We pride ourselves on having small groups, fun and motivated teachers, and a quick progression from level to level. This class is part of our innovative "pay as you go" modular German course system, where you can book a week-long course module anytime you wish. Module 5 is the last module of level A1.2. It is recommended for people who have recently completed our module 4 or for people who'd like to review the A1.2 material a bit before moving on to A2.1. Once you have completed this module, you can move on to module 6 or a complete A2.1 course. We recommend signing up as soon as possible for your next level. Taking courses continuously without much of a break is highly recommended for lower levels. If you like, you can buy the course book Schritte Plus Neu 2 before the course starts, so that you can follow along at home. This course takes place over 4 sessions, Monday through Thursday from 10:00am-1:00pm. Included is a short coffee break. Hot drinks are provided free of charge. Class does not take place on bank holidays. In weeks with bank holidays, class takes place on a Friday (see schedule below for exact course days). This course takes place in our school in Mitte, right on Rosenthaler Platz (U8, M1, M8) and is just a 7-minute walk from Rosa-Luxemburg-Platz (U2). The address is Torstr. 117. We're on the 5th floor, and there's an elevator. Important: In order to keep the class size comfortable for everyone, payment at registration is required. You can use the "Register now" button on the right of this page if you'd like to book and pay securely with PayPal, credit card, or online banking via Sofortüberweisung. Unpaid registrations and invoices will be cancelled and deleted automatically after 30 minutes. If you prefer, you can alternatively pay cash and register in person at one of our schools (Mon-Thur 10am-5pm or with appointment). Thank you for your understanding and see you in class soon!